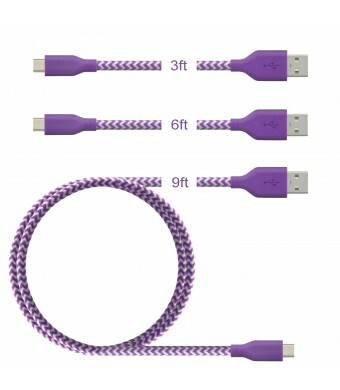 3-pack(1m*1,2m*1,3m*1) micro usb cables of Ansfen. 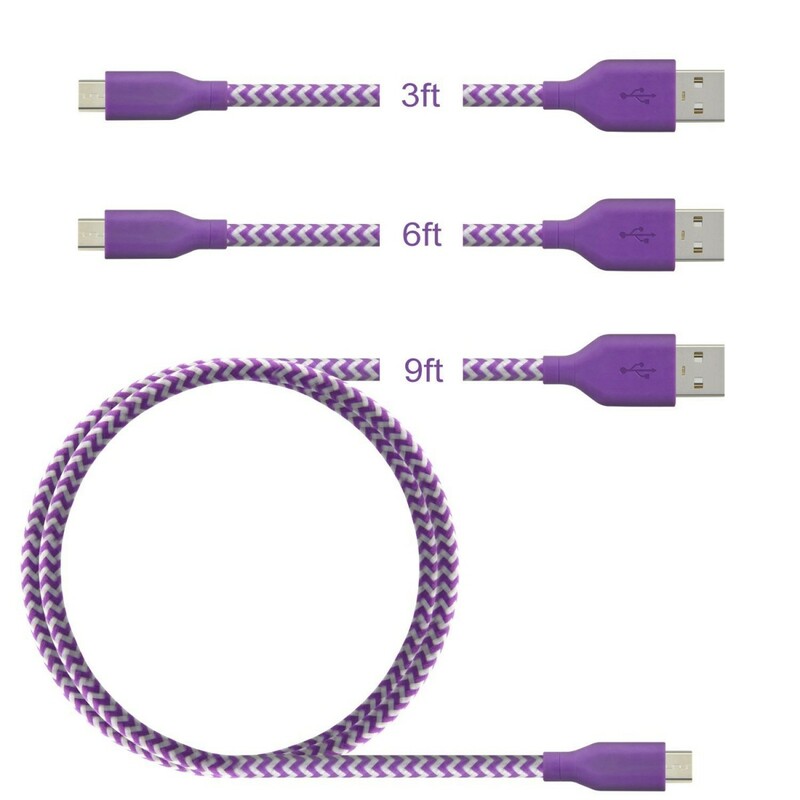 Different length of cable,it is ideal to use with USB charging port chargers while in the car, office and home. Compatible with Smartphone, tablet, MP3 player, camera, hard drive, e-reader, external battery, handheld game console and all other Micro-USB connecting devices from brands including Samsung, Nexus, Motorola, HTC, Nokia, LG, HP, Sony, Blackberry and so on. Package include 3 pcs cables: 3ft*1, 6ft*1, 10ft*1. High Speed Charge & Sync Charge around 8% faster than most standard cables and sync at speeds of up to 480Mbps through wide diameter 28 / 21 AWG data and power wires. Extra Durable Constructed of tangle-free nylon and premium PVC, Ansfen cables stay clean and working for up to 3X longer than OEM products.We bent this cable over 4000 times and saw no damage or change in performance. Premium nylon fabric feels great and doesn't tangle. Great Lengths One foot? Three feet? Six feet? Ten feet? Whatever length you need, Ansfen's got you covered. Compatible With: Android smartphones and Windows phones, tablets, e-readers, cameras, MP3 players, hard drives, portable chargers, handheld game consoles and all other Micro USB devices from brands including Samsung, HTC, Motorola, Nexus, Nokia, LG, HP, Sony, Blackberry and many more. Case Compatible: The connector heads fit snugly into almost all case cutouts. Don't be denied your case of choice by a bulky cable.Compact lightning connector head fits most cases. Service & Warranty Our fan-favorite 18-month warranty and friendly customer service. During the limited warranty period, Ansfen will replace without charge, a Materially Defective Product. Ansfen will return replacement Products to you in working condition. If you have any question for the item, please feel free to email us.